Ageing, genetics and oily skin determine the size of pores. 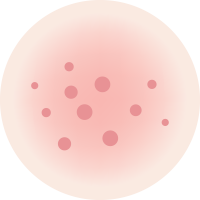 Unclean and oliy skin are partially responsible for enlarged pores. Also known as “closed comedons,” they are primarily a sign of acne filed with skin debris, bacteria and sebum oil. 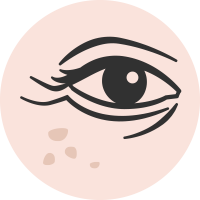 Whiteheads are non inflammatory acne. Known as open comedons. They are black in colour due to sebum becoming oxydisied and are non inflammatory acne. 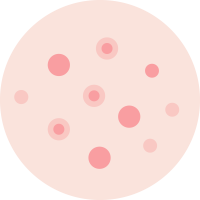 Skin lesions, also known as “acne vulgaris”, vary in colour from pink, red or purple and are surrounded by skin inflammation. Also known as “acne vulgaris.” These are middle-sized bumps that have a noticably white or yellow dot in the middle and have surrounded inflamed redness. A severe form of acne vulgaris. Affects many teenagers and is often linked to hormonal changes in puberty. It’s important to address this condition from the beginning. Mainly linked to stress and hormonal changes.